Our Local SEO service utilizes the most advanced search engine optimization techniques available to increase your company’s organic exposure locally. Local SEO is a continuous process, requiring time, consistency, and dedication. 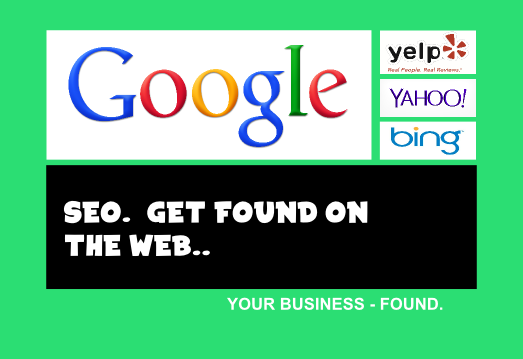 We do this in numerous ways, including Google My Business – aka Google Maps, Google Plus for Business or Google Places (apparently Google was a bit confused on what they should call this local business thing! For now they are calling it “Google My Business” lol), directory consistency verification, review acquisition campaigns (search engines are largely ranking local companies for consistent directory listings, ie. yelp, yellowpages, and trusted review ratings on these business directory sites), NAP business listing, on-page SEO, and email drip campaigns. There are two main contributing factors when ranking your website for local SEO, or local search engine optimization (in case you’ve living under a rock somewhere, in place like say -Bangladesh, an example of search engine is Google). The two factors are: content on-site / on-page, and accurate information across the web (off-page / off-site SEO). So, for a lot of my examples, I use Google. Because mainly, they’re the benchmark for search engines, they’re so far ahead of their competition it’s stupid and the other search engines seem to fall inline with whatever Google is doing. Most often months or years later (most likely because Google sales priority rights to the other search engines, but that is another article all together). Google currently uses the local search algorithm, coined, Google Pigeon. Since, Pigeon’s release on July 24, of 2014 it has had a major effect on local search results in both Google organic listings and Google Map listings. It focuses on offering the best local searches and realizing when a customer is performing a search for local businesses, jobs, and events – by what they type into the Google Search Box. On page content is HUGE to Google, since the release of Google Hummingbird, which demoted thin sites, spam sites, or link farm sites (site with just a bunch of links and no real content). What does Google look at when it comes to on site / on page content to rank your website locally? The main thing Google is looking for is good un-plagiarized content. Content that customers consume and keeps their interest. Google wants people to stay on the website they refer them to, the longer someone is on your site the better the result was and Google says: “YEAH!!! !” most likely in a flamboyant voice, well at least I hope so. So create usable content.